A teenaged boy has been jailed for possession of heroin and crack cocaine with intent to supply in Worthing. The 16-year-old, who cannot be named for legal reasons, was stopped by police in Montague Street in April last year. 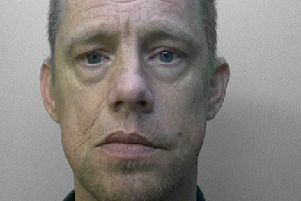 He was arrested on suspicion of intent to supply Class A drugs in April last year and later charged, a spokesperson for Sussex Police confirmed. He pleaded guilty to charges of possessing heroin and crack cocaine with intent to supply. He also admitted to one count of acquiring, using or possessing criminal property, in his case a quantity of cash. The boy, who lives in Kent, was sentenced to an eight-month detention and training order when appeared at Crawley Magistrates’ Court yesterday for sentencing, according to police. He will serve four months in detention before being released into the community under supervision. He was also served with a forfeiture and destruction order for the drugs and must pay back £1,113, the Crown Prosecution Service confirmed. A spokesperson for Sussex Police highlighted the dangers posed to young people by the drugs trade: “London affiliated gangs have been seeking to establish drug distribution in East and West Sussex for several years. Sussex Police works closely with law enforcement partners, including the National Crime Agency, the South East Regional Organised Crime Unit, British Transport Police and neighbouring forces, to deal with the threat of drug dealing stemming from London. “The areas in Sussex most effected by the drug trade from London are the larger coastal towns with established drugs markets that can be exploited locally,” the spokesperson said. Worthing, Brighton, Bognor Regis, Hastings and Eastbourne are the among the worst affected places in Sussex, they added. “This is not a new phenomenon. London affiliated gangs have been seeking to establish drug distribution in East and West Sussex for several years. Members of the public who have suspicions or information about drug dealing in their community or futher afield can contact the police at any time by emailing 101@sussex.pnn.police.uk or by calling 101.